Cool idea but you need a hero power + Lazul is only gonna be a cosmetic portrait. 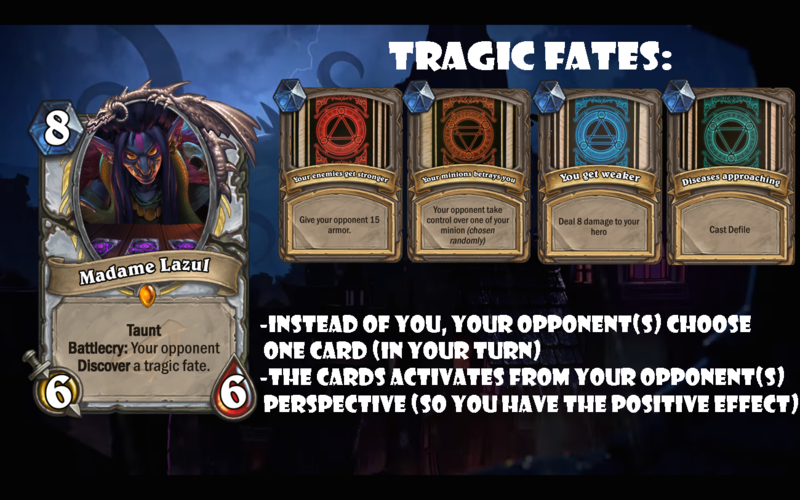 the player casting Madam Lazul should choose the deathrattle. Otherwise letting your opponent choose one is way worse for a 8 mana 6/6. Overall is too much weaker than kalimos. Yeah, a little bit. Maybe in-game it would get a little more understandable. In a world, where cards like the Lich King exist, I've tought this one can get a chance too. At least there you’ll not break any HS rules.